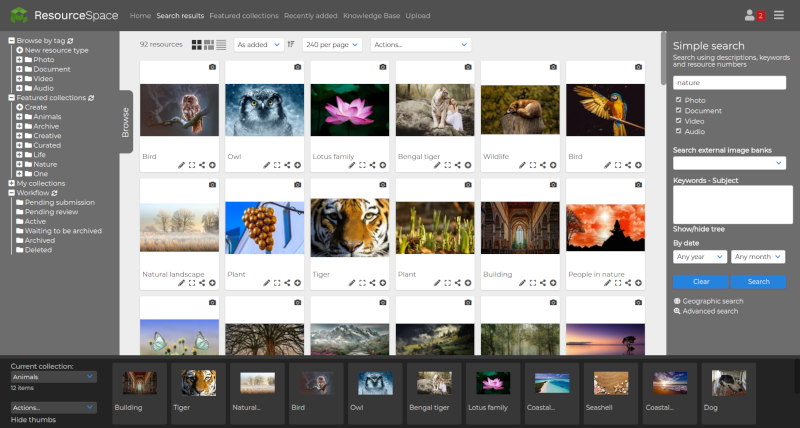 Our sole focus is ResourceSpace, our open source Digital Asset Management (DAM) software. We offer a complete range of associated DAM services including hosting, installation, configuration, support, consultancy, training and development. No vendor lock-in - ResourceSpace is free and open source software. There are no license fees and you are free to host the software elsewhere at a future date should you choose to. ResourceSpace is standards based and supports several standards for metadata exchange, such as XMP, IPTC and EXIF. Feature-rich DAM software with an intuitive user interface. The software benefits from ongoing development funded by several large organisations. Visit the ResourceSpace site for further details of the software and the associated services available from Montala.